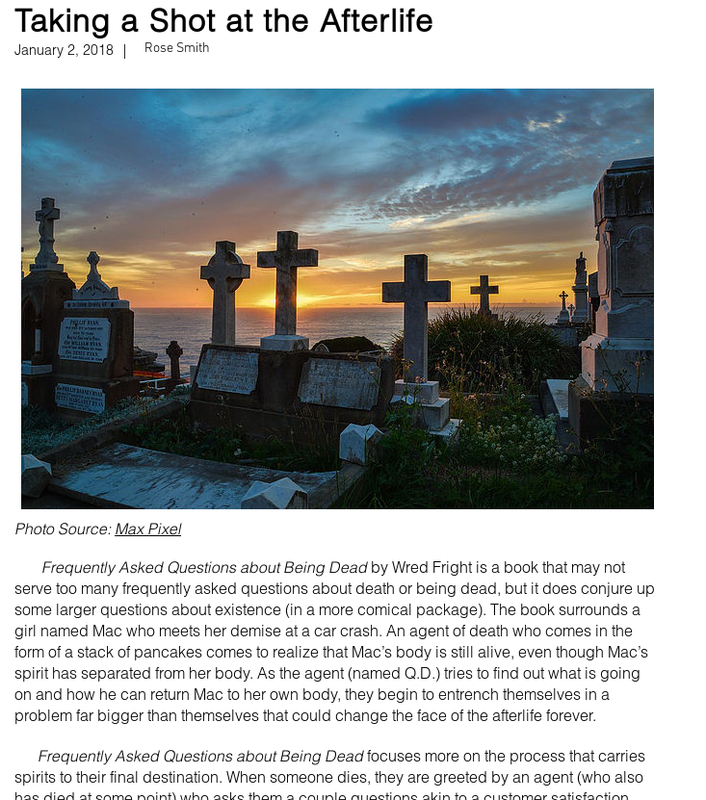 I wasn't planning on putting out a print edition of Frequently Asked Questions About Being Dead, but I am sure glad that I did! When I uploaded the Kindle edition to Amazon, I saw they had an option to work up a print counterpart. I decided to try it as an experiment. I knew that some of my readers still prefer print, so I wanted to have it as an option even if it wouldn't be as cheap as the ebook due to printing costs. There were a couple of minor hurdles, but I got it uploaded. I was a little concerned about how the printed book would look since the book wasn't designed with print in mind, but Amazon's print on demand service did a great job! I just got my print copy today, and the book looks great! I had thought about doing a print run, but what can be done with print on demand is amazing these days. The books are quite akin to any trade paperback, and it's nice to know that there won't be any remainder copies floating around unloved in bookstores. It's probably a little more environmentally sound to only get these books printed up when someone actually wants one. You can check out the print edition here. 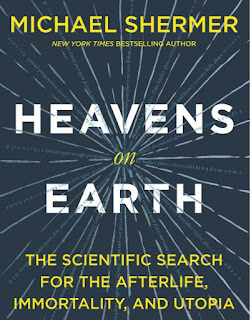 Michael Shermer has come out with a new book that seems interesting. 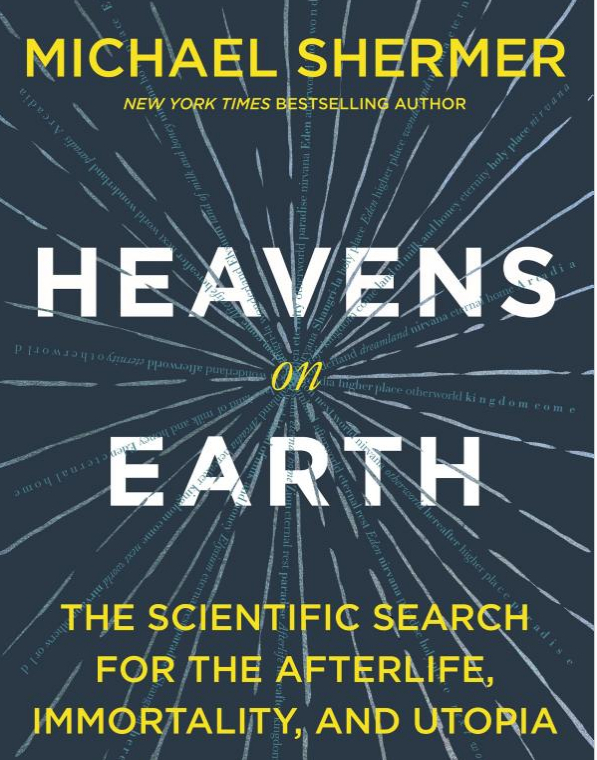 It's called Heavens On Earth: The Scientific Search For The Afterlife, Immortality, And Utopia. I plan on reading it. 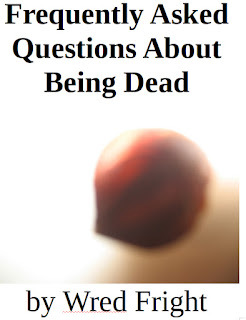 It seems like a nice, nonfictional counterpart to Frequently Asked Questions About Being Dead. I wonder what Shermer would think of that fictional afterlife. I hope he would get a laugh out of it! One of my favorite minor characters in Blog Love Omega Glee is the cranky old man, Bruce Goose, who likes to tell Jake such sage advice as "Never marry a poet." Goose, of course, tries his hand at some poetry of his own and tries to get published in Francine's blog. Well, although Goose is a fictional character, I was delighted to discover that there apparently is a real poet who went by the name of Bruce Goose. There is no connection between the two; I just liked the name for the character, and if I had known that a poet went by that name, I would have chosen another name for the character, which would have been sad because I really like that name. In any case, the nonfictional Bruce Goose, someone is looking for you. It is Tom Prince. I will let Tom send out the APB for Bruce in his own words from the email he sent me: "He is (was) the son of Kenneth Fearing. If he lives (surprisingly), are you able to contact him? I am doing a documentary about Read Sky Poetry Theatre and Bruce would be interested to know that. If he can't recall me, mention the Five 0 Tavern and the Cause Celebre Cafe." So Bruce if you're out there, please get in touch with me, and I'll put you in touch with Tom if you can't reach him directly. 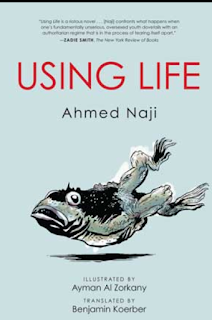 I read recently about the government of Egypt hassling Ahmed Naji about his novel. It is sad to note that things that should have been settled for good during the Enlightenment still have to be fought for in the 21st Century. A person should be free to express herself or himself without the government shutting her or him up. I am certainly glad to live in a country that recognizes the right to freedom of speech and guarantees it through the First Amendment. 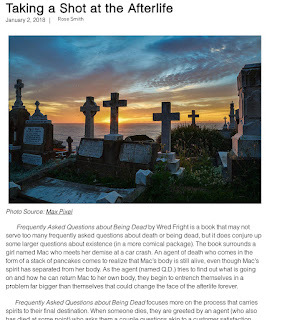 No government has tried to shut me up because of Frequently Asked Questions About Being Dead and other things that I have written. The same courtesy should be extended to Naji. Maybe someday writers worldwide will not have to go through what Naji is going through. We will have to work to make that world. Like the eBay special, I am also running a bundle special on Etsy. For $15, you get all three of my novels (a print copy of The Pornographic Flabbergasted Emus and ebook copies of Blog Love Omega Glee and Frequently Asked Questions About Being Dead). That includes shipping, so it is a good way to kick off your reading in 2018! I'm running a special on eBay. For $15, you get all three of my novels (a print copy of The Pornographic Flabbergasted Emus and ebook copies of Blog Love Omega Glee and Frequently Asked Questions About Being Dead). That includes shipping, so it is a good way to kick off your reading in 2018!